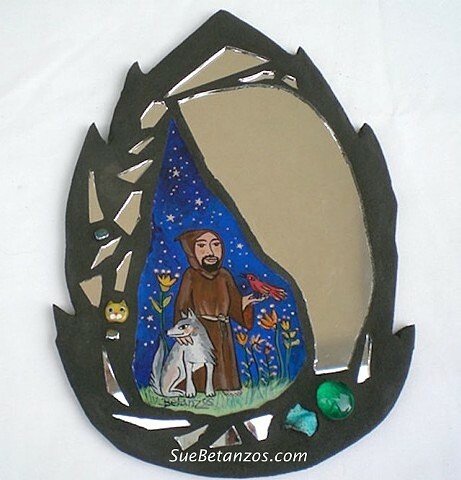 Mirror mosaic with St. Francis reverse glass painting by Sue Betanzos. Want one with your pet companion? Contact me! This is from the story of St. Francis and the Wolf of Gubbio, Italy. Reverse glass painting with silvery stars, a glass kitty bead, mirror, and gem quality turquoise stone.